I suffered many cruelties at the hands of my parents in my childhood. Many. Most of the evil came in the form of deprivations they imposed upon me. I was not allowed to wear a non-competitive swim suit when all the other girls were starting to sport OP instead of Speedo. 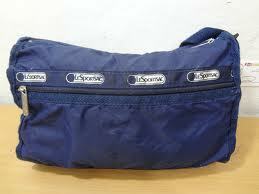 I was not allowed to have a LeSportSac bag in highschool. Not allowed. Why? Because the naughty girls carried such satchels. I mean look how naughty it is! 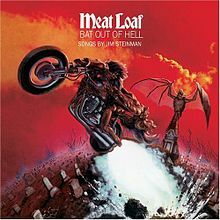 And…in Junior High School when Meatloaf’s Bat Out of Hell album was taking teenagers by storm…I was not allowed to own it. Even though I could purchase the album with my own hard-earned money…I wasn’t allowed. I wasn’t allowed because of the hit song “Paradise by the Dashboard Lights”. The song includes a sportscast of a baseball play where the batter is trying to round the bases. I don’t know – Maybe it meant something else?!? But I just liked the song and wanted to own the album. I think that my father was also opposed to the whole ‘Bat Out Of Hell’ title. You know, because of Satan. 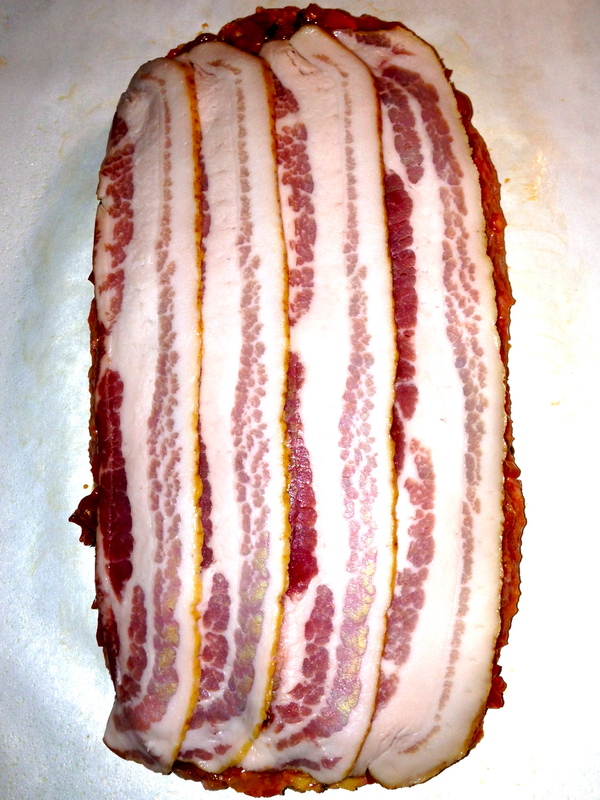 Later on, I learned that many people don’t like Meatloaf….the man AND the meal. 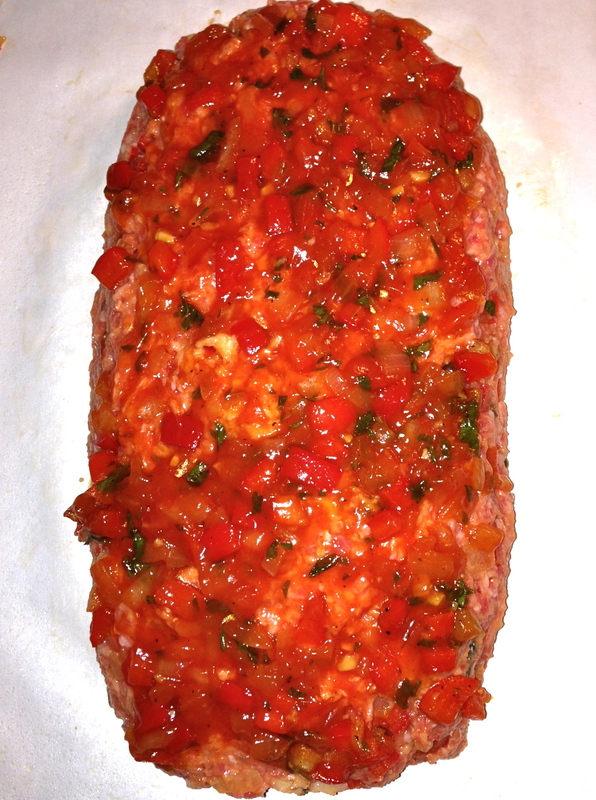 But, Tyler Florence’s ‘Dad’s Meatloaf with Tomato Relish’ might just change all that. 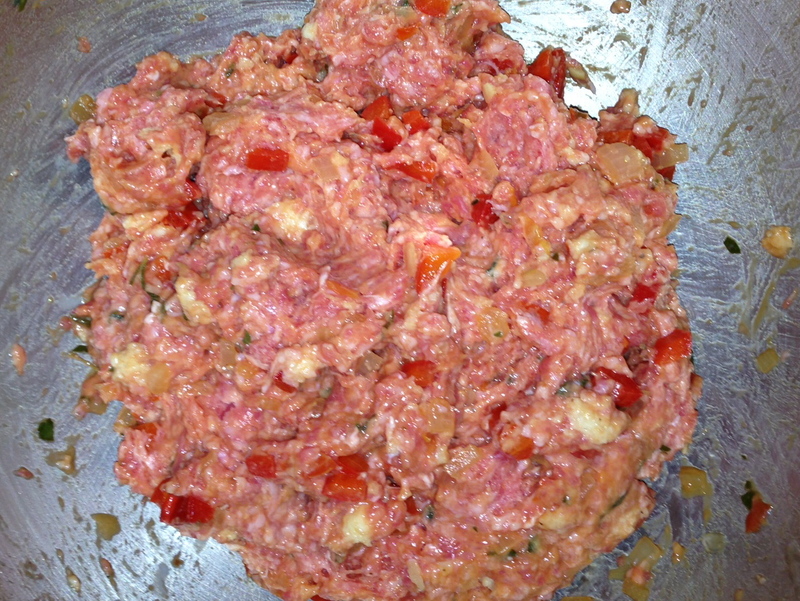 Recipe calls for a combination of Beef and Pork, 1.5lbs and 1lb respectively. BUT, ground beef comes in 1lb and 2lb packages…which means you would have extra and then what? 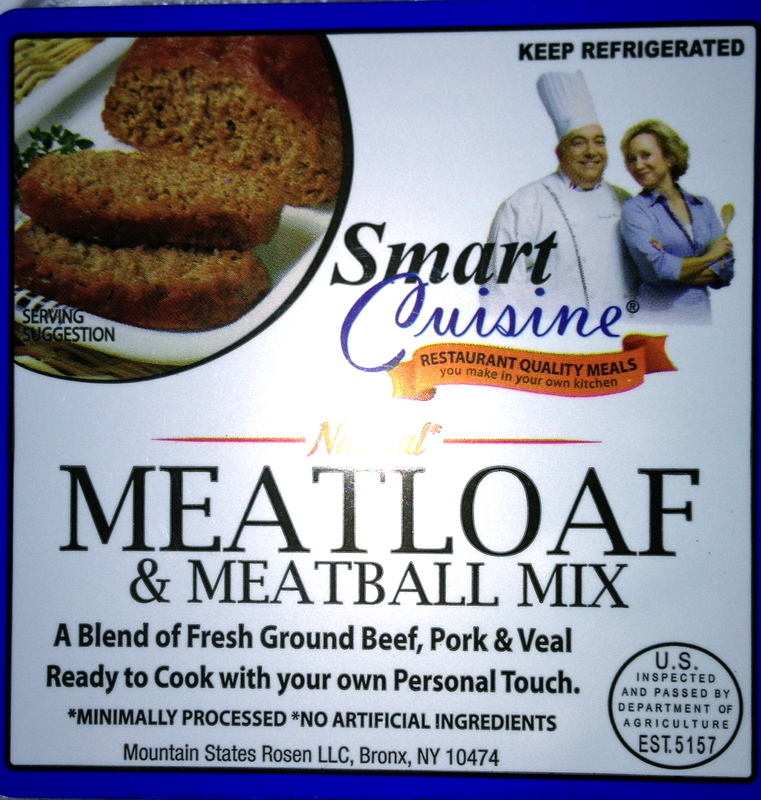 And, I like veal in my meatloaf…so I buy 2.5lbs of Meatloaf mix instead. It’s ok if you have slightly more or slightly less. But I did find 1.25lb packages of the stuff and just bought 2. 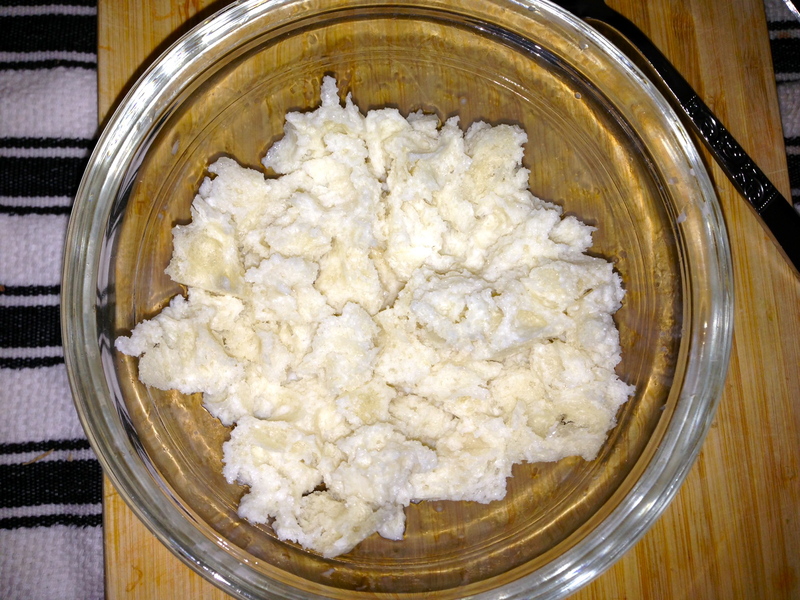 3 Slices of white bread OR 1 demi loaf of french bread – no crusts and torn by hand. 5. 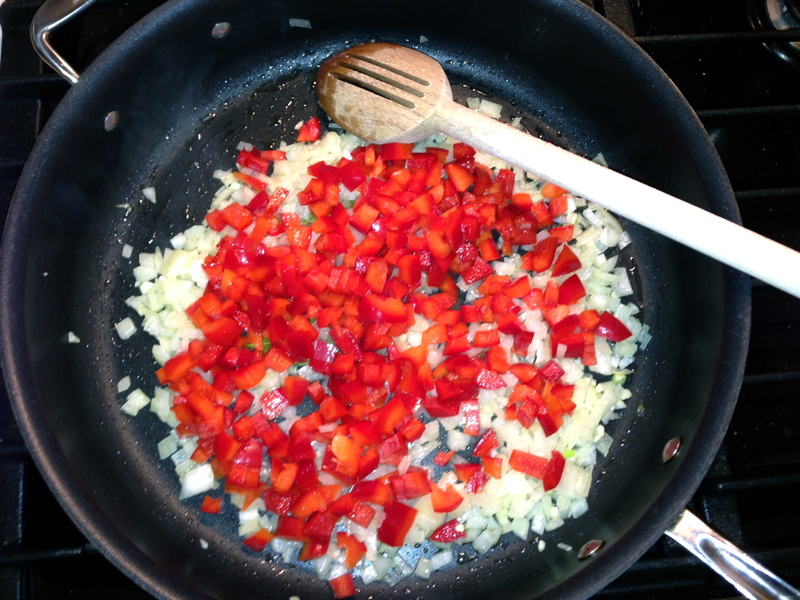 Add salt and pepper to taste – I just grind some pepper over the mix and throw some sea salt in…like a teaspoon or so. 7. 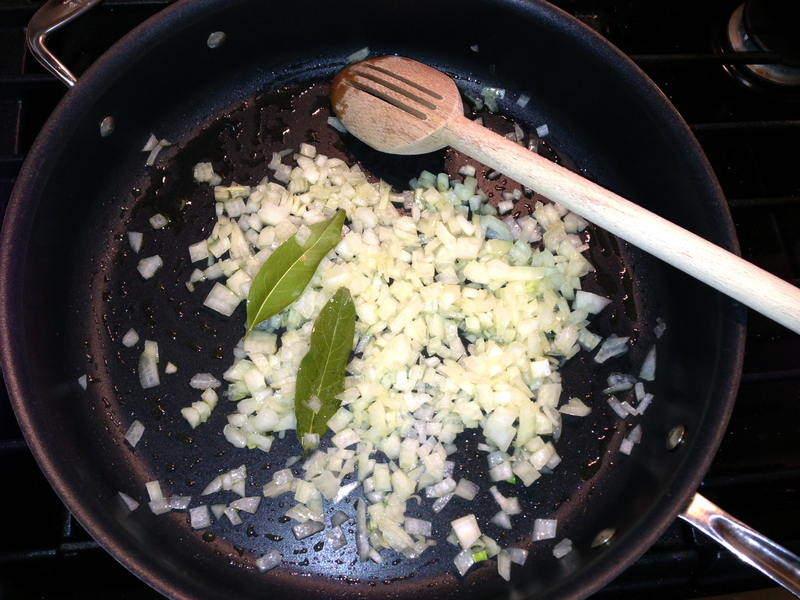 Remove from the heat…And this is V IMPORTANT: Let cool…. Seriously….let it stand for at least :10mins. 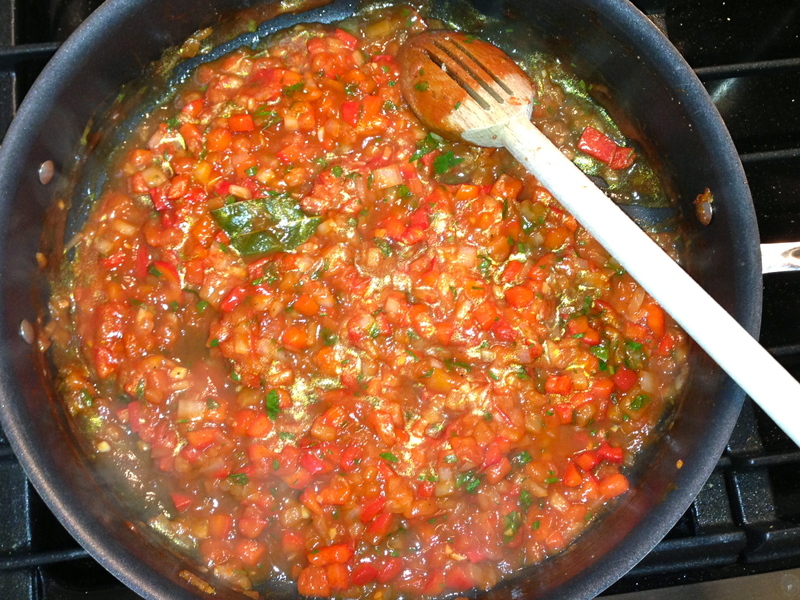 Remove the bay leaves at this point. 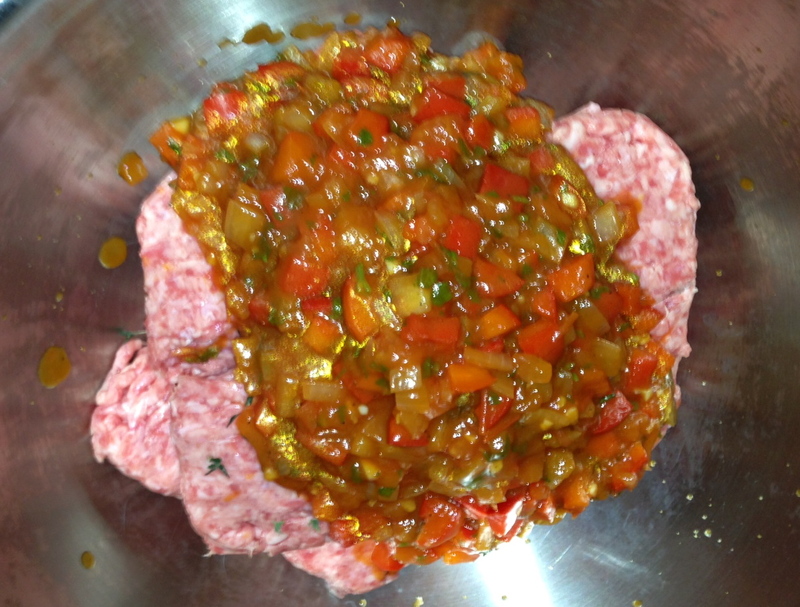 OK…so Tyler Florence might not change anyone’s opinion of the singer, Meatloaf. And, I may never be able to convince anyone that Paradise by the Dashboard Lights is really a love story – although Meatloaf does promise to love the girl in the song ‘until the end of time’ and all. 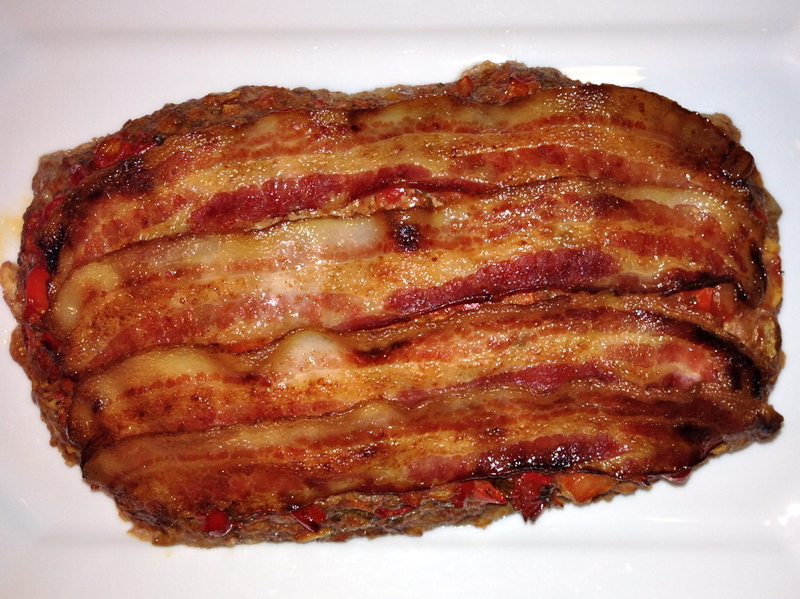 But, don’t deprive yourself of the magic of meatloaf. 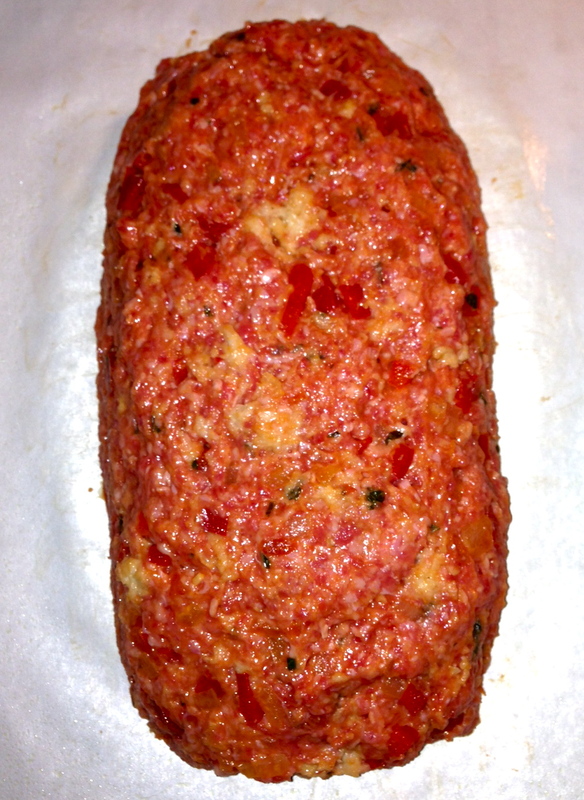 Because Tyler Florence’s meatloaf IS paradise and may just change your meatloaf hating mind. 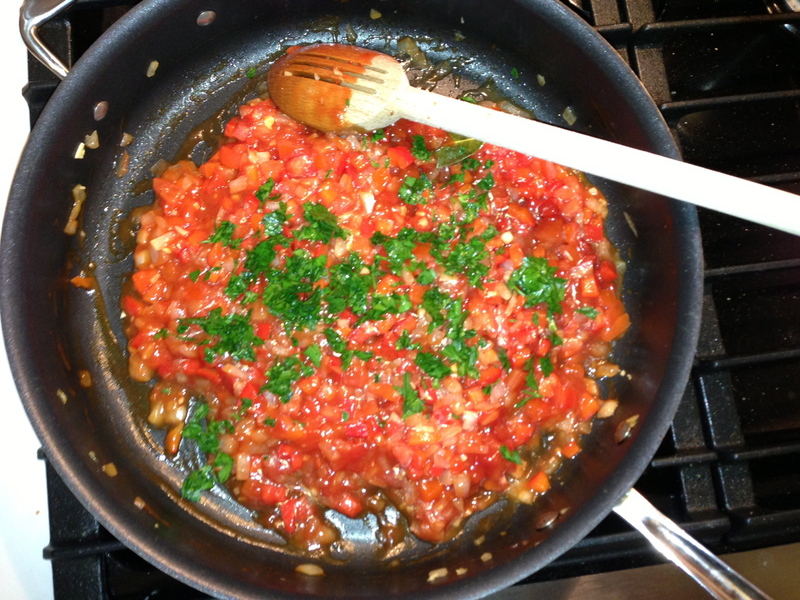 This entry was posted in Affordable Steak, Big Meats, Carb-Friendly, Comfort Food, Easy Cooking, Main Courses, Sauces, Veal and tagged Bat Out of Hell, food, Meatloaf, Meatloaf Mix, Paradise by the Dashboard Lights, Reynold's Pan Lining Paper, Tyler Florence by AnniesDishList. Bookmark the permalink.